HealthEd Connect: What about Boys? 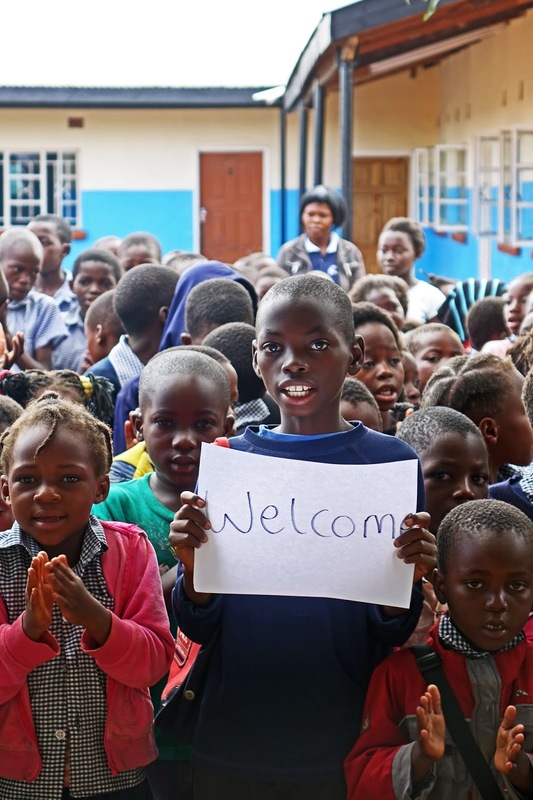 Many signs of welcome were displayed by the children who lined up to greet us at Chipulukusu. Some, like this one holding the sign, are sharp little boys who are high achievers in school. As a matter of fact, Sylvester, one of the 7th grade boys received the highest score among all boys taking the standardized exam at 20 schools. He was also a double orphan with no means to continue school. We managed to find a way to provide him a scholarship even though we don't have a specific program for boys like we do for girls. Yet.